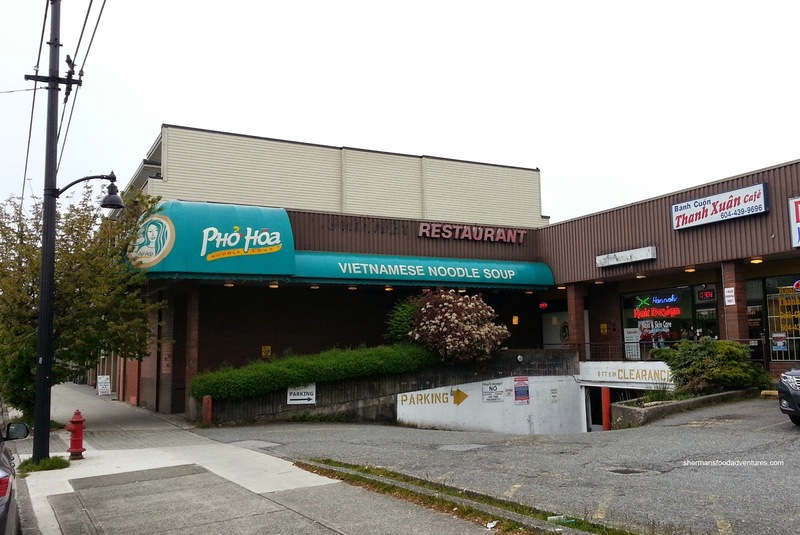 With all the new Pho joints strewn throughout the GVRD, it is easy to sometimes forget one of the originals. 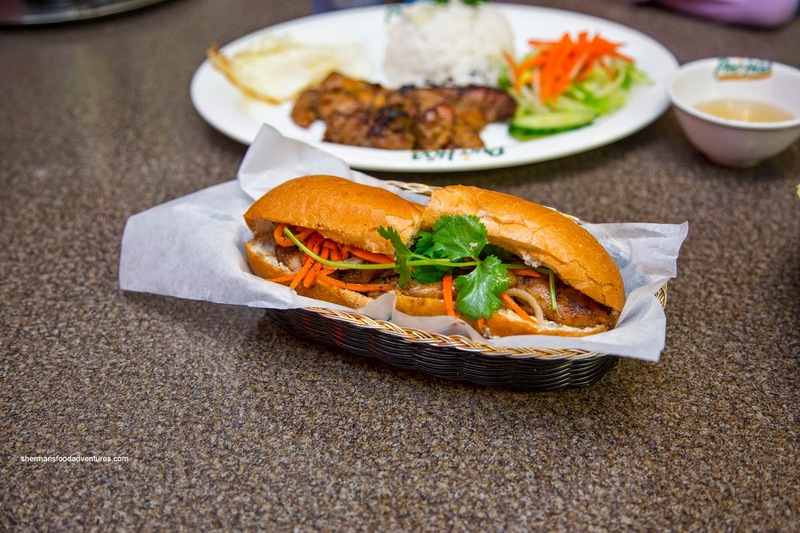 Yes, I'm talking about Pho Hoa (aka the McD's of Pho). 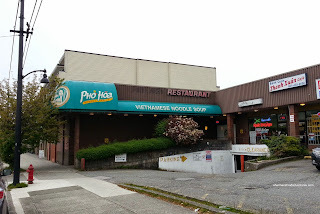 Recently, Pho Hoa has fallen on hard times where location after location has closed (making way for Pho Boi). As much as I tend to dismiss Pho Hoa publicly, it does hold a place in my heart. No, it isn't food, rather, Viv and I would frequent the place when we first started going out. So I guess we returned mostly for ol' times sake because the place didn't look like it had been updated since. 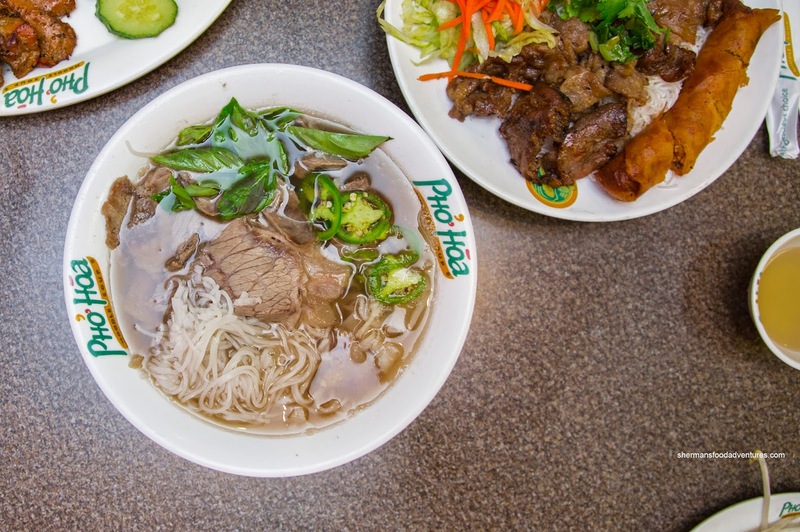 I got the standard Pho Dac Biet and although I specifically said I wanted cilantro, they omitted everything from the broth. Actually, for our entire menu, it appeared no one really understood what we wanted (like water and a knife). Back to the pho, the broth was somewhat clean and pretty mild. It wasn't bursting out with any discernible flavours. With that being said, it didn't offend. Noodles were okay while the meats did the job. 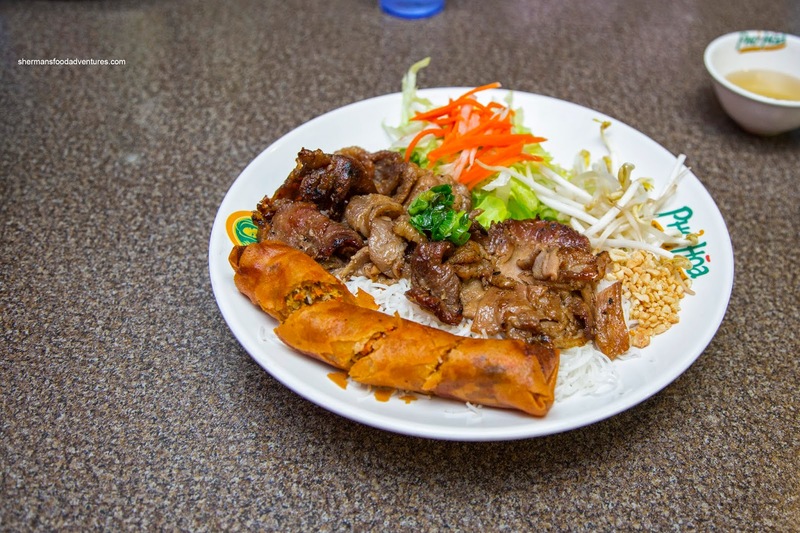 For Viv, she went for the Grilled Pork & Spring Roll on Vermicelli. Inconsistently charred, the pork was super fatty and not appealing. It did exhibit a smoky sweet taste where there was sufficient caramelization. 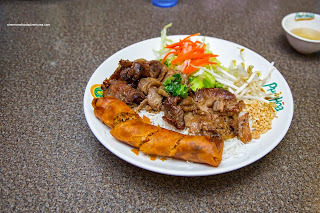 As for the spring roll, it was pretty standard but a tad greasy. 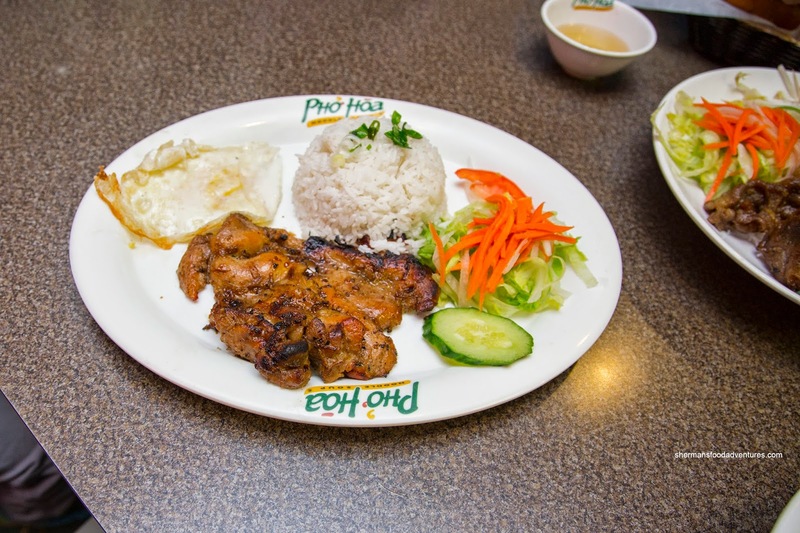 For the kiddies, they shared their favourite being the Lemongrass Chicken with Rice. We added a fried egg on the side. This was actually not bad with a well-marinated and juicy piece of deboned chicken leg. The char was a bit more uniform here where there was smokiness to go with the sweetness. We also got the Banh Mi Dac Biet for good measure and it was more or less decent with crunchy bread. There was a enough ingredients including a good splash of fish sauce. 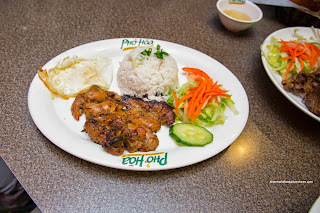 Oh well, I guess we knew what to expect from a visit to Pho Hoa... But at the very least, it was serviceable and for us, a walk down memory lane (although this lane needed some upkeep).